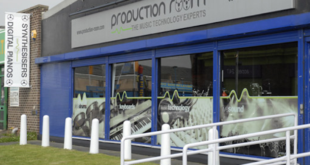 Post-punk band New Model Army’s Bradford-based studio has suffered extensive damage following a blaze, which reportedly started in an adjacent furniture outlet, PSNE has reported. While most of the building, which also houses two floors of Party Space, a screen-printers and a number of other studios rented by professional outfits was saved during the incident on Christmas Eve, New Model Army’s facility was almost entirely decimated. Several pieces of high-end equipment were destroyed in the fire, including vintage Gretsch and Slingerland drum kits, a Hammond C3 organ, and a range of collectable guitars and amplifiers. Demos for the band’s next studio album were also lost, as well as recently discovered 30-year-old tapes containing material that was set to be included on a forthcoming reissue of 1984 album Vengeance.